By using the EcoAmerica Tours Web site, you expressly agree that use of the EcoAmerica Tours Web site is at your sole risk. 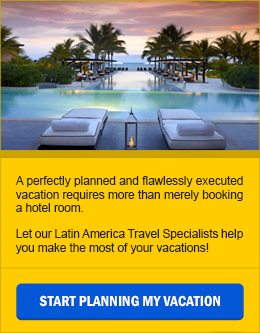 The EcoAmerica Tours Web site is provided on an “AS IS” and “as available” basis. Neither EcoAmerica Tours nor its parent company, affiliates, subsidiaries or designees nor each of their respective officers, directors, employees, agents, third-party content providers, designers, contractors, distributors, merchants, sponsors, licensors or the like (collectively, “Associates”) warrant that use of the EcoAmerica Tours Web site will be uninterrupted or error-free. Neither EcoAmerica Tours nor its Associates warrant the accuracy, integrity or completeness of the content provided on the EcoAmerica Tours Web site or the products or services offered for sale on the EcoAmerica Tours Web site. Further, EcoAmerica Tours makes no representation that content provided on the EcoAmerica Tours Web site is applicable to, or appropriate for use in, locations outside of the United States. EcoAmerica Tours and its Associates specifically disclaim all warranties, whether expressed or implied, including but not limited to warranties of title, merchantability or fitness for a particular purpose. No oral advice or written information given by EcoAmerica Tours or its Associates shall create a warranty. Some states do not allow the exclusion or limitation of certain warranties, so the above limitation or exclusion may not apply to you. Under no circumstances shall EcoAmerica Tours or its Associates be liable for any direct, indirect, incidental, special or consequential damages that result from your use of or inability to use the EcoAmerica Tours Web site, including but not limited to reliance by you on any information obtained from the EcoAmerica Tours Web site that results in mistakes, omissions, interruptions, deletion or corruption of files, viruses, delays in operation or transmission, or any failure of performance. The foregoing Limitation of Liability shall apply in any action, whether in contract, tort or any other claim, even if an authorized representative of EcoAmerica Tours has been advised of or should have knowledge of the possibility of such damages. User hereby acknowledges that this paragraph shall apply to all content, merchandise and services available through the EcoAmerica Tours Web site. Some states do not allow the exclusion or limitation of incidental or consequential damages, so the above limitation or exclusion may not apply to you. The EcoAmerica Tours Web site is intended for use by individuals 13 years of age or older. The EcoAmerica Tours Web site is not directed for use by children under the age of 13. Users under the age of 13 should get the assistance of a parent or guardian to use this site. The EcoAmerica Tours Web site attempts to display images shown on the site as accurately as possible. However, we cannot guarantee that the color you see matches the true color, as the display of the color depends, in part, upon the monitor you are using. Prices and availability of products and services are subject to change without notice. Errors will be corrected where discovered, and EcoAmerica Tours reserves the right to revoke any stated offer and to correct any errors, inaccuracies or omissions including after an order has been submitted and whether or not the order has been confirmed and your credit card charged. If your credit card has already been charged for the purchase and your order is cancelled, EcoAmerica Tours will issue a credit to your credit card account in the amount of the charge. Individual bank policies will dictate when this amount is credited to your account. Online prices and selection generally match those in our affiliated agent advertisement, but may vary. Prices and offers are subject to change.